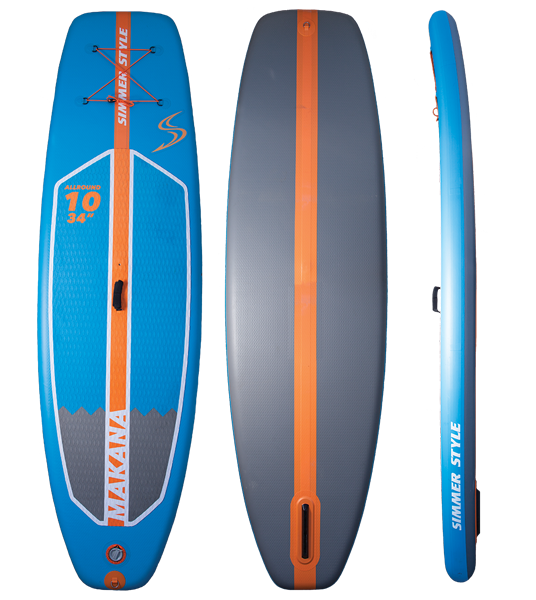 An extremely user-friendly board which works well for cruising, playing in the wave or as your first SUP board. Equipped with a windsurfing base fitting. It features a generous wide outline for stability with plenty of volume for flotation with a lot of rocker curve and tail kick for maneuverability. This is the perfect board for a family of riders of different ages and abilities. Equipped with a windsurfing base fitting. - Wide outline for great stability. - More rocker curve for improved performance in wave. - Round tail for maneuverability. - 3 mm diamond EVA deck pad. - Dyneema stringer on top and bottom. A freeride crossover board with effortless glide and great directional tracking. Designed with a wide mid to back outline for stability and plenty of volume for flotation. 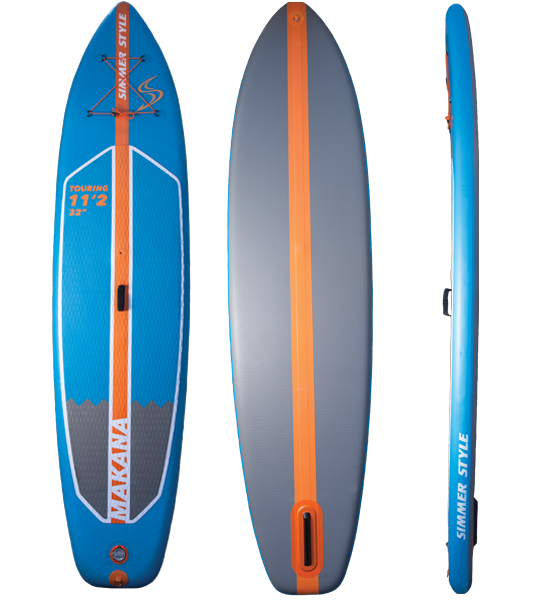 The boxy tail gives the board superb water release and allows the board to turn quickly. - Superb glide and good stability. - Parallel outline for optimal tracking. - Square tail for quick turning. - Dyneema stringer on top and bottom for stiffness. 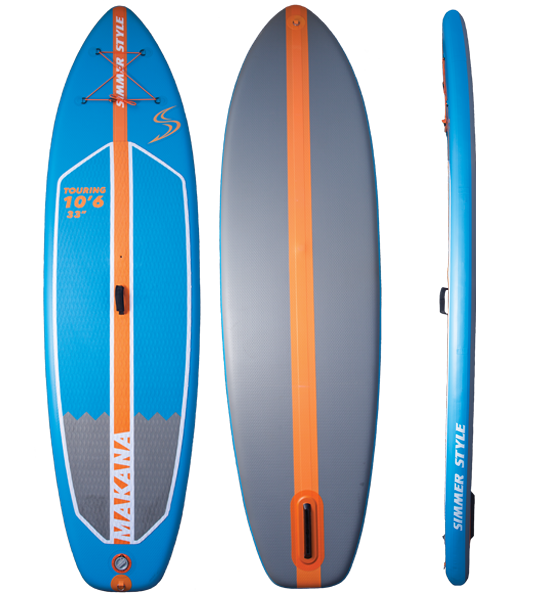 11'2 x 32" provides great glide and stability. The generous volume allows paddling with extra luggage and/or children aboard. It is super light and stiff which benefits quick acceleration and speed. Great tracking and stability which makes it ideal for long distance paddling and touring.